BUCHAREST, Romania — Major NATO exercises in Eastern Europe have begun in Bulgaria on Tuesday involving 25,000 military personnel from more than 20 allied and partner countries as the U.S. seeks to reassure NATO's European allies. The Saber Guardian 17 exercises are being led by U.S. Army Europe and run until July 20. The training will also take place in Hungary and Romania, including at the country's Mihail Kogalniceanu Air Base near the Black Sea. The opening ceremony was held at the Novo Selo military camp in southern Bulgaria. The drills aim to increase the interoperability of participating countries and demonstrate resolve and readiness to act in support of security and stability in the Black Sea region. There will be a total of 18 specialized exercises. A U.S. European Command statement said the drills are designed as a deterrent. The U.S. has beefed up its presence in Eastern Europe since Russia annexed Ukraine's Crimea Peninsula to reassure NATO's East European members, which were formerly in Moscow's sphere of influence. 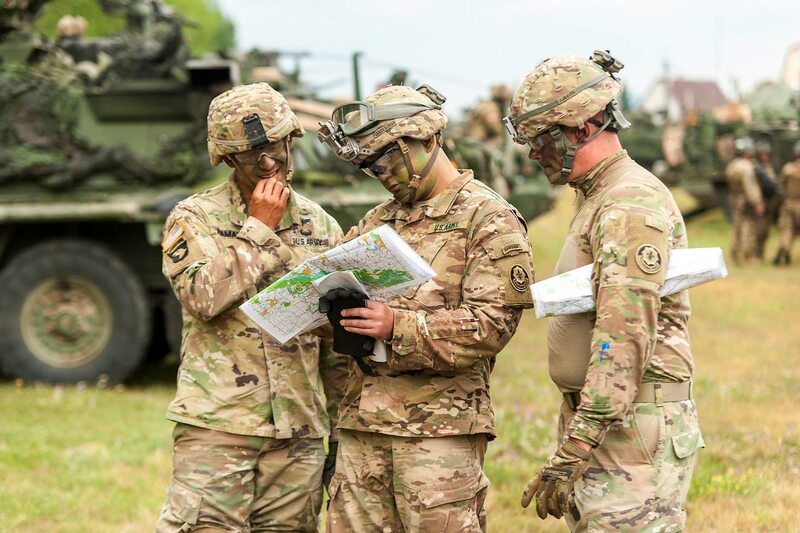 American soldiers participating in the Saber Guardian 2017 military exercise of NATO check a map near Gyor, 120 kms west of Budapest, Hungary, Monday, July 3, 2017. Some 40 thousand soldiers of seven countries participate in the military exercise held from late June through August in Hungary, Romania and Bulgaria. The exercises will feature an air defense artillery live fire exercise, field training and live fire exercises, multiple river crossings and a mass casualty exercise. The statement said that smaller U.S. and European-national exercises will be held in the Black Sea region this summer to support Saber Guardian's objectives of "supporting security and stability in the Black Sea region." The Saber Guardian exercises have been held annually since 2013 in the Black Sea region.